How do you deal with discouragement? 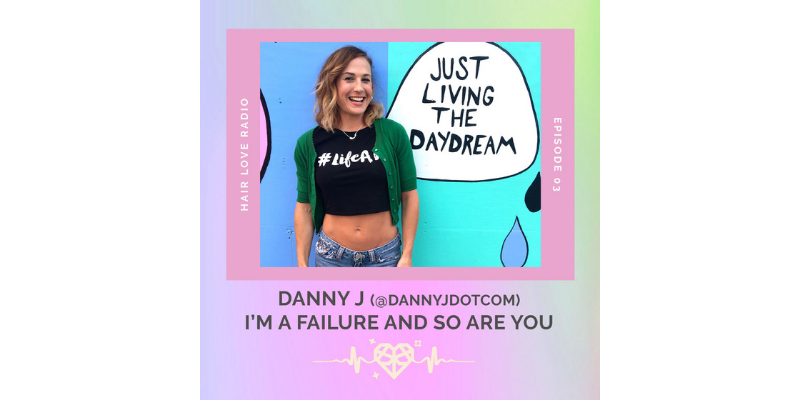 In this episode of Hair Love Radio, business coach Danny J chats with Elizabeth on failure’s crucial role toward ultimate success. The most successful people have the most failures. What separates successful people from unsuccessful people is their will to keep going, and your commitment to your dream is what will push you past the failures and challenges that will inevitably be part of your journey. Danny J shares her inspiring story as an entrepreneur going through failure and challenges following the economic crash, ultimately teaching her a powerful lesson about adaptation, patience and resilience. Failure is an important part of success. For Danny, that meant having mental breakdowns and crying in a Trader Joe’s parking lot and learning to walk again - figuratively and literally. Danny J is a business, relationship and money coach and you can follow her on Instagram here. She is also a host of The Best Life Podcast, which covers all sorts of topics like money, relationships, entrepreneurship, productivity.